Industrial piercings make a big statement and they look great, so it’s easy to see why they are so popular. Thankfully, industrial piercings are relatively easy to heal and care for – you just need to know how! 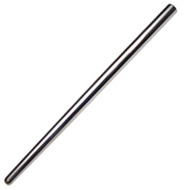 An industrial piercing consists of two separate piercings joined by wearing one long barbell through both piercings. It can be placed at almost any angle across the top of your ear, but the most common placement is with a diagonal bar – as shown here. You can have your industrial pierced on both sides at once, or have the piercings done one at a time. I recommend having both piercings done at once and wearing the correct jewellery from the start. If the piercings are done separately or you wear BCRs while healing, the angle of the piercing can change slightly during healing. When you finally insert a long barbell into the piercings it will put a lot of stress on the piercings. This can cause to discomfort, migration and possible rejection of your industrial piercing. It is also important to remember that placement is extremely important with this piercing. Every ear is different and a good piercer will be able to choose a placement that offers you the best chance of a successful piercing. If the placement is too shallow or the jewellery too short, the piercing will reject in the long term and can lead to the ear becoming misshapen. A small percentage of people may be unable to get an industrial piercing at all. As always, the key is to visit an experienced professional piercer who is able to answer all your questions and is willing to spend time finding the best placement for your piercing. 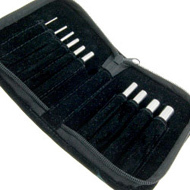 In principal, industrial piercing aftercare is the same as for any ear cartilage piercing. However they can be trickier to clean and usually take longer to heal: often up to 24 weeks for complete healing. You should clean your industrial piercing twice daily with saline solution, using cotton buds – cotton wool balls get tangled in the piercing and leave fibres behind. Avoid swimming or submerging the piercing in water as this will all introduce bacteria. Tie or clip long hair away from the piercing and avoid contact with soap, shampoo or hair products. If you get any of these on the piercing, rinse with clean water and clean with saline. 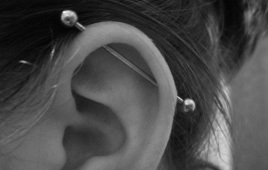 Your industrial piercing should feel progressively better as it heals. If you experience persistent pain or swelling, consult your piercer – these can be signs of an infected piercing. Other symptoms include sharp pain, constant sensitivity, pus, redness and the skin feeling very hot. Infections in ear cartilage piercings can be more serious than in other piercings, so it is vital to seek help immediately. Do not assume it will just get better! Most piercing infections can be dealt with but in some cases infection can spread in between the layers of cartilage and even destroy the cartilage, leading to cartilage collapse. Good piercing aftercare can prevent infections, so it is very important to take good care of your industrial piercing! Once healed, your industrial piercing requires very little care. Keep it clean and consult your piercer if you notice any changes to the piercing or immediate area. This entry was posted in Body Piercing Aftercare, Body Piercing Education and tagged Body Piercing Care, Ear Cartilage Piercing Aftercare, Ear Piercing Aftercare, How To Care For Body Piercings, Industrial Piercing Aftercare, industrial piercings, Piercing Aftercare on August 28, 2013 by Piercing Guru. 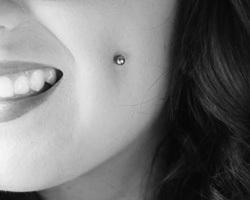 Cheek piercings, also known as dimple piercings, are gorgeous looking piercings that really make an impact. These piercings look cute but I recommend thinking hard and doing your research before getting a set of cheek piercings. Unlike many piercings, cheek piercings have a lasting effect on your face and require more aftercare than most facial piercings. They usually heal well and last for a long time, but it is important to be well informed before you take the plunge and get your cheeks pierced. 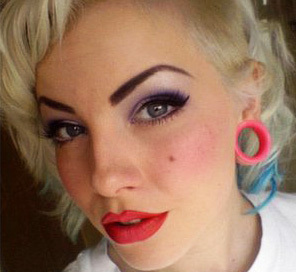 Cheek piercings pass through the centre of the cheek, in the spot where a dimple usually forms. 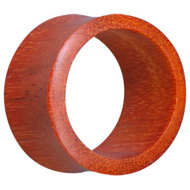 They are usually done as a set and pierced with either long labret studs or barbells. This is a difficult piercing to perform and good placement is key, so take the time to find a good professional piercer that has experience with cheek piercings. Cheek piercings create dimples in your cheeks, because they pass through the many muscle layers inside the cheek. These dimples are usually permanent and the piercing also leaves a small scar. All piercings scar, but it is important to realize that cheek piercings will permanently alter your cheeks in this way. Make sure that you are comfortable with this fact before getting pierced! Cheek piercings usually heal well, but they can take between 4 and 10 months to heal fully. The cheek is a relatively complex area and will take a while to settle after healing. As with all oral piercings, it is important to care for both the inside and outside of your cheek piercings. Clean the outsides twice daily with saline solution for the first 2 to 3 week – after this just clean as needed. To clean the inside of your piercings, rinse twice daily with suitable mouthwash, as well as after eating and drinking anything other than water. 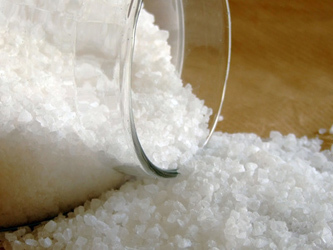 Avoid smoking and alcohol during the healing period, as they inhibit healing. You should also avoid kissing, swimming and submerging the piercings in water, as these introduce bacteria to the piercing site. You may find it uncomfortable to eat spicy food at first. As with all piercings, it is important to monitor the piercing site and consult your piercer if you notice anything unusual. The following can be signs of an infection and you should seek help if you experience any of them: persistent swelling, sharp pain, persistent redness, skin that is hot to touch, pus, unpleasant odour. A common problem associated with cheek piercing is the formation of lymphatic lumps around the piercing site. These are small lumps caused when lymphatic fluid becomes trapped under the skin. 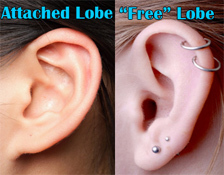 They can vary in size and appear at any time, even after the piercing has healed. Lymphatic lumps need to be drained by an experienced piercer, after which they usually heal and disappear. It is important to seek help as soon as you notice a lump, so that it does not become infected. You can reduce your chance of getting lumps by touching the piercing as little as possible, and always with clean hands. There is also an element of luck – some people never get lymphatic lumps at all. 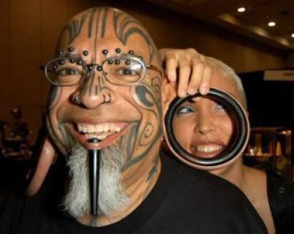 This entry was posted in Body Piercing Aftercare, Body Piercing Education, Cheek Piercings and tagged Body Piercing Care, Cheek Piercing, Cheek Piercing Aftercare, Cheek Piercings, Dimple Piercings, How To Care For Body Piercings, Piercing Aftercare on July 31, 2013 by Piercing Guru. Lip piercings look great and suit everyone, making them a popular choice no matter who you are. Fortunately they also heal well and are easy to care for. There are many different lip piercing placements and combinations, but they all require the same basic aftercare. Lip piercings can be placed almost anywhere around the mouth but the most popular is still the traditional lip piercing, placed in the centre of the bottom lip. Other popular lip piercings are side lip piercings on the bottom lip; monroe piercings on the side of the top lip and medusa piercings in centre of the top lip. 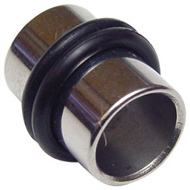 You can wear labret studs, BCRs or circular barbells in your lip piercing, depending on the piercing placement. Like all new piercings, new lip piercings need to be kept clean and dry. You should clean the outside of the piercing twice daily with saline solution and rinse twice daily with suitable mouthwash. You should also rinse after eating and drinking anything other than water. Avoid submerging the piercing in water and kissing, as these introduce bacteria. You should also avoid smoking and drinking alcohol, as they both impede healing. If you cannot avoid these activities, rinse with mouthwash afterwards. 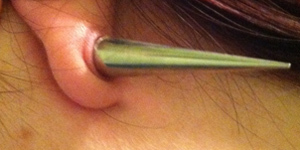 Your piercing should soon start to feel more comfortable and the swelling should go down. Go back to your piercer if you experience any persistent swelling, pain or redness – these can be signs of an infected piercing. You should also consult a piercer if your jewellery feels tight or sinks into the skin – your jewellery might be too short and will need to be changed. All lip piercings carry a risk of oral damage. Wearing correct jewellery can prevent oral damage, but it is important to be aware of the risks and symptoms. Metal lip jewellery can rub on your teeth and gums, leading to potential gum erosion, tooth abrasion and even tooth loss. Most of this damage is permanent. If you notice any change in around the piercing – especially changes to the shape of your teeth and gums, consult a professional piercer immediately. They will be able to advise you on whether you need to change your jewellery or perhaps even retire the piercing. The best way to avoid oral damage is to wear soft jewellery, such as a BioFlex labret stud. BioFlex is softer and gentler on your gums, lessening the impact of tooth damage. You can also choose placements that put less pressure on the gum line – ask your piercer for the best placement. There is also an element of luck – some people notice damage even with BioFlex jewellery; others wear metal for years with no damage. The most important thing is to check your mouth regularly and seek help immediately if you notice any changes to your mouth. This entry was posted in Body Piercing Aftercare, Body Piercing Education, Labret Piercings and tagged Body Piercing Care, How To Care For Body Piercings, Labret Piercing, Labret Piercings, Lip Piercing Aftercare, lip piercings, Piercing Aftercare on July 2, 2013 by Piercing Guru.